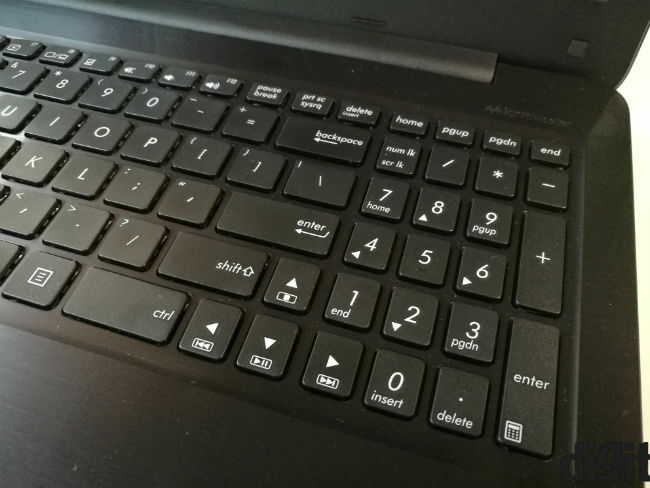 The Asus R558UQ looks good on paper, but in real world terms this isn't the laptop to buy. 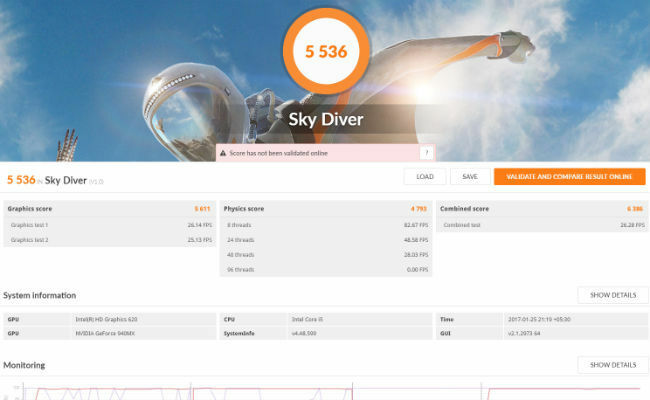 While the R558 does allow casual gaming, you'll get a much better display with the Lenovo Ideapad 510 and with the same hardware, plus double the RAM. We recommend spending a bit more and buying that device. Over the past few years, most of the things I used to do with a laptop have been done on a phone. When I do use a laptop, I’m a stickler for thin and light ultrabooks. So, when the Asus R558UQ review unit landed on my desk, waiting to be reviewed, it was like a blast from the past. It’s not that I was out of touch. You can never really be out of touch doing what I do for a living. It just got me thinking as to who uses such laptops nowadays. Well, the short answer is people do, and in the array of “good looking” devices, the Asus R558UQ is reminder about the real word. It costs Rs 50,090, and brings 4GB of DDR3 RAM, the Nvidia GTX940MX GPU and the Intel Core i5-7200U processor, clocked at up to 3.1GHz (with Turbo Boost). That, with a FHD display and full-sized keyboard sounds like a pretty good deal. 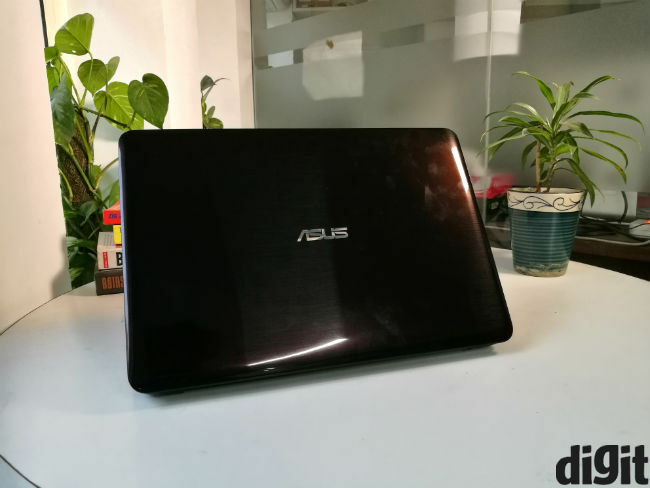 A thick black body, made of plastic all over and a signature Asus-like finish, this laptop is meant for the regular business user who wants a bit of everything. It is neither thin, nor light, and it isn’t meant to be. The base is huge and the 15.6 inch display stands firmly on top of it. There is no noticeable wobble, but then you won’t really carry this one around with the lid open. 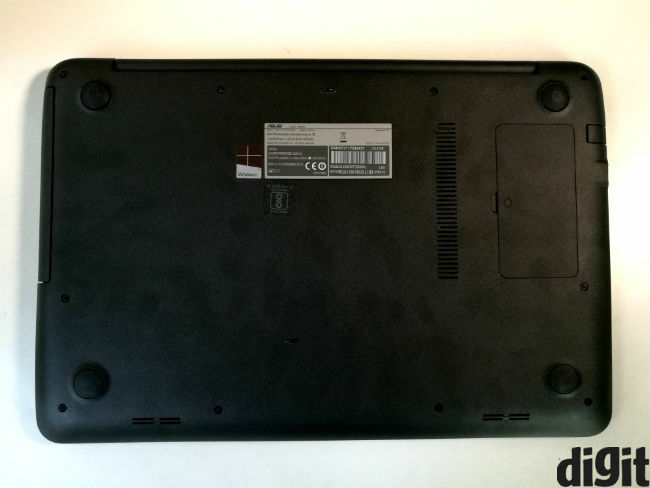 However, the noticeable flex on the keyboard, lid and display aren’t the ideal for an otherwise well built laptop. The brushed finish on the body looks decent, but doesn’t feel as good. Confoundingly, the laptop’s body feels sticky, as it there’s an adhesive running all over it. Ok, so 15.6 inch and Full-HD is a good enough combination, but that’s only scratching the surface. In practice, the Asus R558UQ won’t impress. Colours don’t look very close to source and viewing angles are downright poor. Black levels are ordinary, even for an affordable laptop and it doesn’t particularly reflect a wide gamut. Its viewing angles get in the way even if the display is tilted a bit more than needed to look straight at it. The keyboard on the R558 is decent. The pitch and travel are fine, so that you get used to it pretty quickly. Buttons are all where they should be, and the right size, which is another plus. I would have preferred better key feedback, but what you get on this should still work. 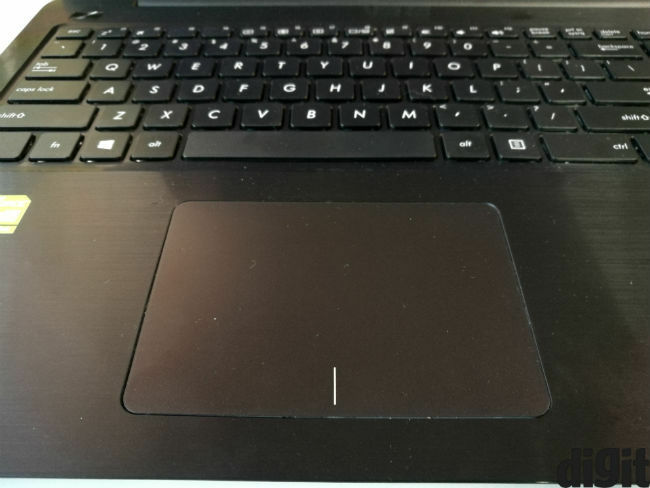 On the other hand, the same cannot be said of the touchpad. There’s little feedback to speak of and the though it responds to Windows gestures easily, it’s not smooth enough for your fingers to glide effortlessly. The assorted collection of ports on the device is quite useful. The laptop has a two USB ports (one USB 3.0 and one USB 2.0) on either side, along with an HDMI port, USB Type-C 3.0 (Gen 1), Kensington Lock, VGA port and Ethernet port on the left side. There’s also a headphone jack and SD card reader on the right side of the laptop, while the charging port lies on its left. The inclusion of the new Type-C standard is a good decision by Asus, and the other ports should suffice for most users. 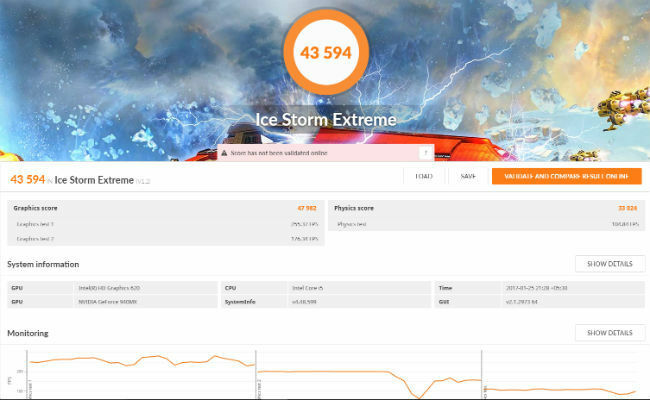 The Asus R558UQ runs on the Intel Core i5-7200 processor, with 4GB of RAM. It also has a Nvidia GTX940MX GPU to handle the casual gamer’s needs. However, its hard drive gets in the way too often. It takes quite a while to boot and apps and programs take a while to load too. Once you get past the initial hump, though, it's reasonably smooth sailing. I opened as many as many as 30 tabs on Chrome, with YouTube streaming on one of them, before the laptop showed slight stutters. With seven Chrome extensions running in the background, this number drops to just below 25, depending on what tabs you open. For gaming, the laptop actually does quite satisfactorily. It ran Assassin's Creed: Rogue, a two-year-old game at high settings, with frame rates consistently above 30fps. It touched 40 at times, but the average remains nearer to 30. However, a game like Doom would need you to reduce the graphics settings. At medium settings, Doom ran at 30fps or below, with visible lags a little too often. Hence, I reiterate, if you want this as a gaming laptop, it’s suited to the casual gamer only. 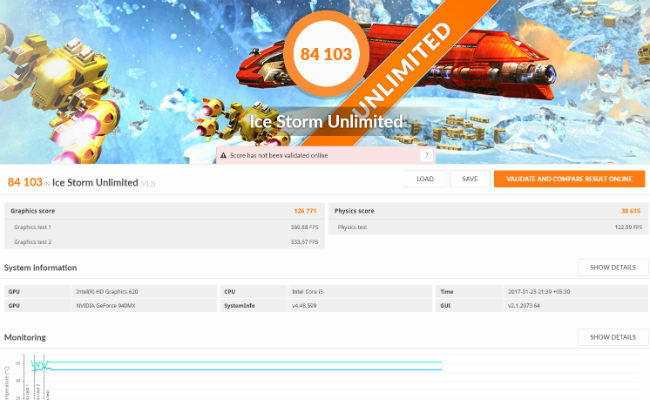 Basically, you won’t be able to play such games at 1080p. 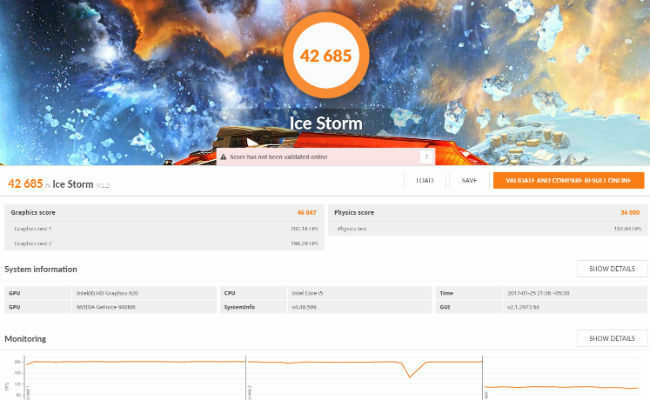 Overall, the Asus R558UQ is fast in theory, but not quite in practice. 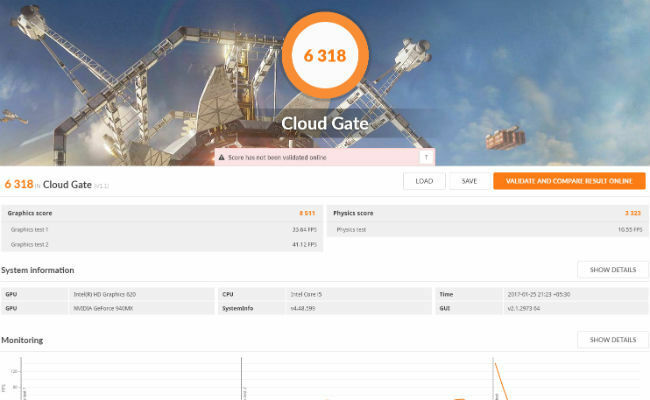 Its slow hard drive gets in the way, creating noticeable and often annoying lags when you cold start applications on the PC (that is, from the hard drive). Also, it has only 4GB of RAM. Even older laptops at this price range have been known to have 8GB storage. The 38Whr battery on the Asus R558UQ lasts about four hours without gaming and just over three hours if you do game on it. That’s pretty much the industry standard for such laptops, although truth be told, I’m personally not satisfied by it. A trade-off on battery is only acceptable when other features are unparalleled, in my book. Having said that, I have to agree that no other laptop with the same SKU will give you much more battery life than this. I’ve had the display turned up to max brightness throughout, too. It lasts three hours and two minutes on PC Mark’s Creative conventional battery test. I’m officially spoiled by ultrabooks. 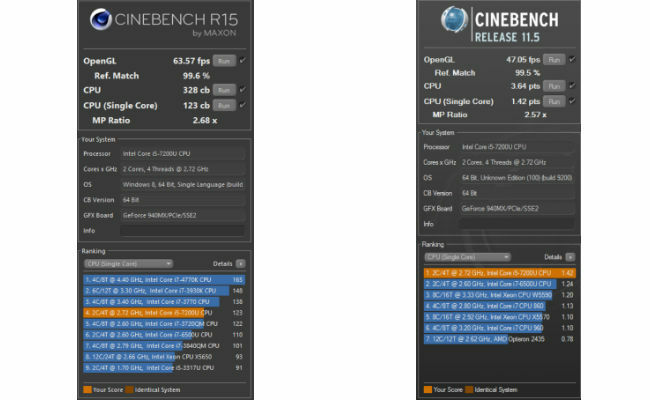 The Asus R558UQ, to me, seems to be a difficult laptop to manage. However, in the market at large, such laptops are actually quite important. That said, I wouldn’t recommend buying this as a gaming laptop, since it has only 4GB RAM. Moreover, its hard drive gets in the way of really smooth usage. If you’re looking for a casual gaming laptop, I’d recommend spending a little more for the Lenovo Ideapad 510. You get the same processor, storage and graphics card, along with 8GB of RAM, which is better suited to gaming than this one. 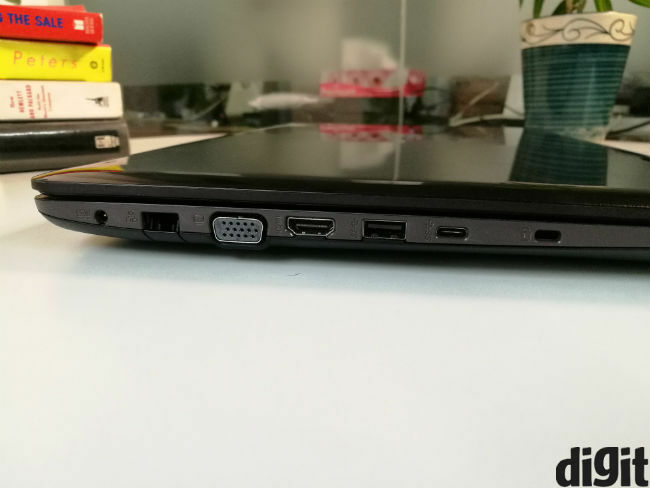 Also, online listings for the Asus R558UQ are mostly with DOS, which means with Windows 10 preloaded, the Lenovo device is a far better option anyway.